At Doranix, we specialize in serialized data printing, especially bar coding for unique device identification. We are able to configure our printers to clearly code a variety of materials including those most commonly used in the medical device industry: Tyvek pouches, Tyvek lids, and foil/poly pouches. The configuration process involves adjusting each printer for optimal performance on the actual product/substrate a company uses for production. This process accounts for substrate thickness, surface roughness, adhesives, coatings, etc. 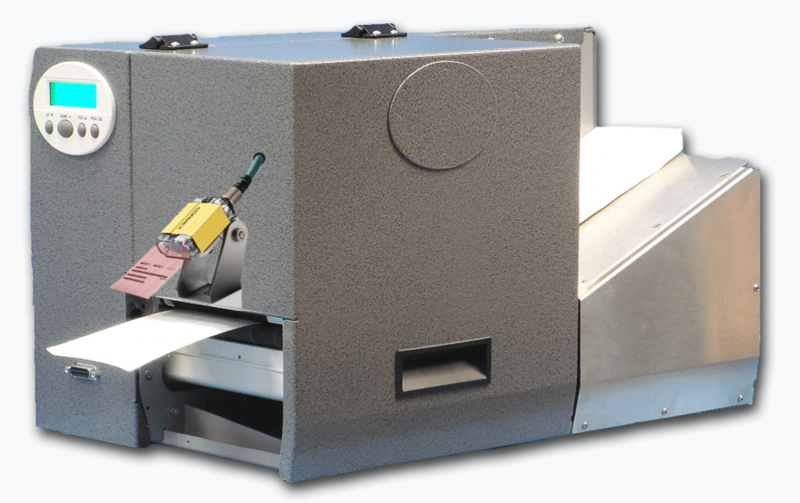 To learn more about UDI labeling, please check out our UDI printers. In order to ensure accurate configuration, Doranix has partnered with optical recognition companies Webscan and Cognex. 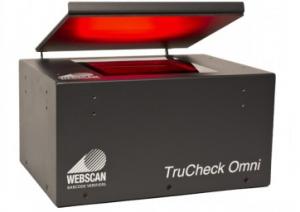 Using the Webscan Omni bar code verifier, each bar code (1D or 2D) can be evaluated for quality during the configuration and validation phases of equipment construction. Bar code verification is also available as a service when using a Doranix product – send samples and we will return a bar code validation report using ISO15415/6 and ISO29158 standards. Additionally, Cognex DM262X bar code scanner/graders can be outfitted on the ThermaPrint 64 printers to provide on-line bar code grading. Each printed piece could be checked for quality, logged, and stored in a database if required – all without decreasing printing throughput! These capabilities allow Doranix to be the industry leader in demand, serialized, package identification – especially medical printing applications requiring UDI coding. Improve the quality of information which is recorded on medical devices and medical device packaging. A device identifier (DI): This is mandatory and must identify the Labeller and specific model/version of the device. Distinct Identification Code required by §1271.290(c) for a human cell, tissue, or cellular and tissue-based products (HCT/P) regulated as a medical device. 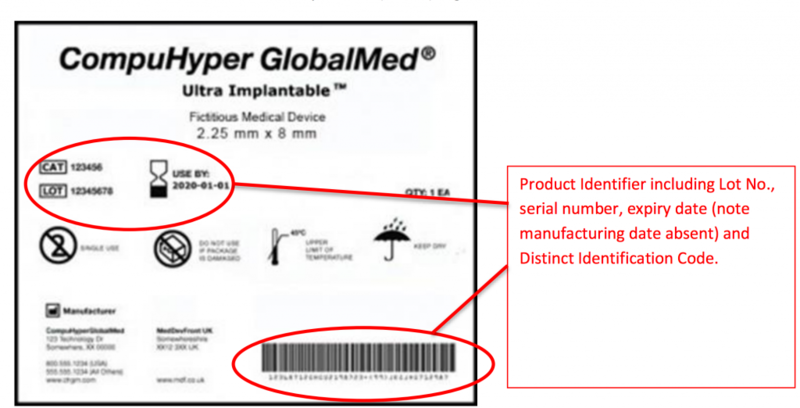 Included in the FDA ruling is the stipulation that each device supporting a UDI must be recorded on the newly constructed Global Unique Device Identification Database (GUDID). The GUDID is intended to be a central depository for traceable information for all supplied medical devices of all classes within the United States. The data provided for the GUDID will be available to the general public and should include only the DI. Submission of the PI is not required. Furthermore although the general public will be able to request and see information relating to specific devices, no personal user information will be held on the GUDID. The UDI rule does allow for exceptions of for the requirements of § 801.20 for certain categories of medical devices. It is possible to request an exemption or alternative for unique device identification marking if either an acceptable alternative method of identification is used, or if the exception is viewed as being in the best interest of public health. Application and assessment for this process takes place directly through the FDA.